Nirous oxide or "laughing gas," is used as a mild sedative. It is delivered through a nose hood and is administered throughout the entire procedure. Nitrous oxide elevates the general mood and can evoke a general sense of well being. Most importantly, it relieves anxiety and reduces pain during the procedure. 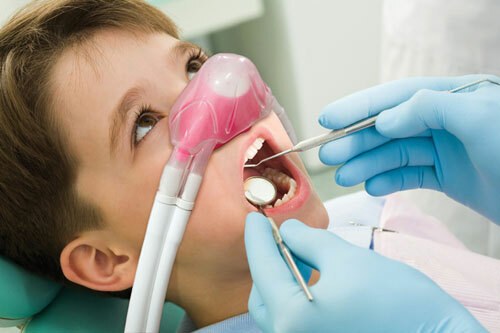 There are few side effects associated with nitrous oxide, and has been used in dentistry for many years.